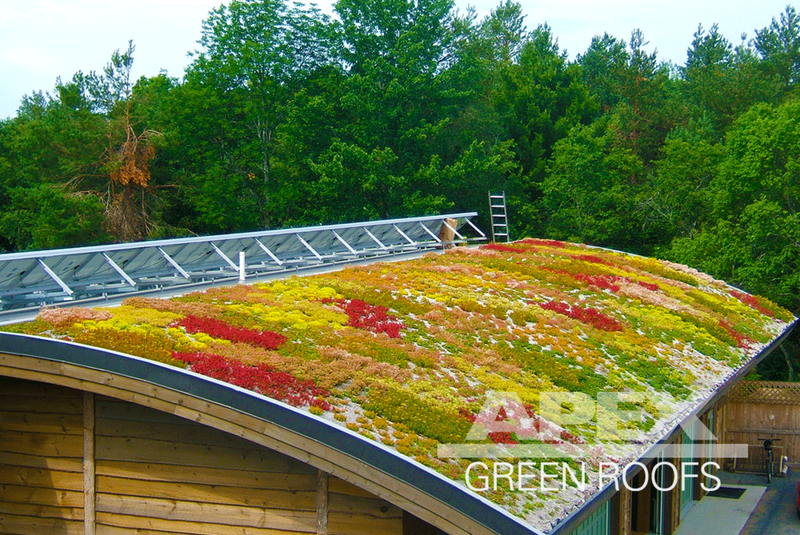 The green roof at the The Wild Center, Natural History Museum of the Adirondacks is located on a barrel roof. Due to the 5/12 pitch, this system required slope stabilization, but no drainage layer. The other side of the roof is covered with solar panels. The 4" extensive vegetated rood was establsihed with sedum plugs.